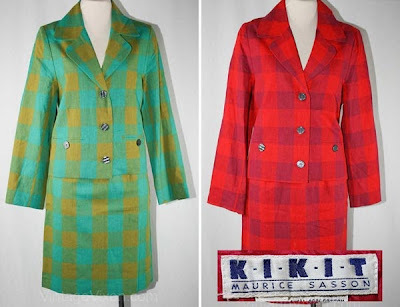 I'm a child of the 80s, and when I see vintage Sasson clothing I have that knowing nostalgic twinkle in my eye. 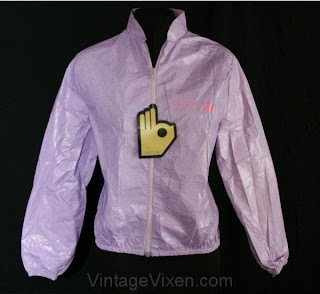 So when we posted a bunch of 1980s Sasson windbreakers I thought about snagging one. We have a quantity of them offered in light gray too, all viewable at the link below. I can just see a 'Fame' revival dance team in matching Sasson jackets! That would make my day. And we can make yours, because you can view over a dozen of these jackets in both colors (and a variety of other vintage Sasson clothing) on our website. 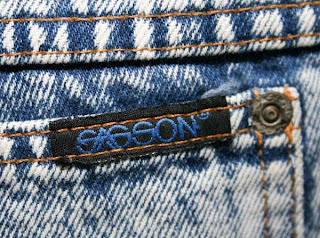 And last but not least, a few pairs of vintage Sasson jeans. Klassic!